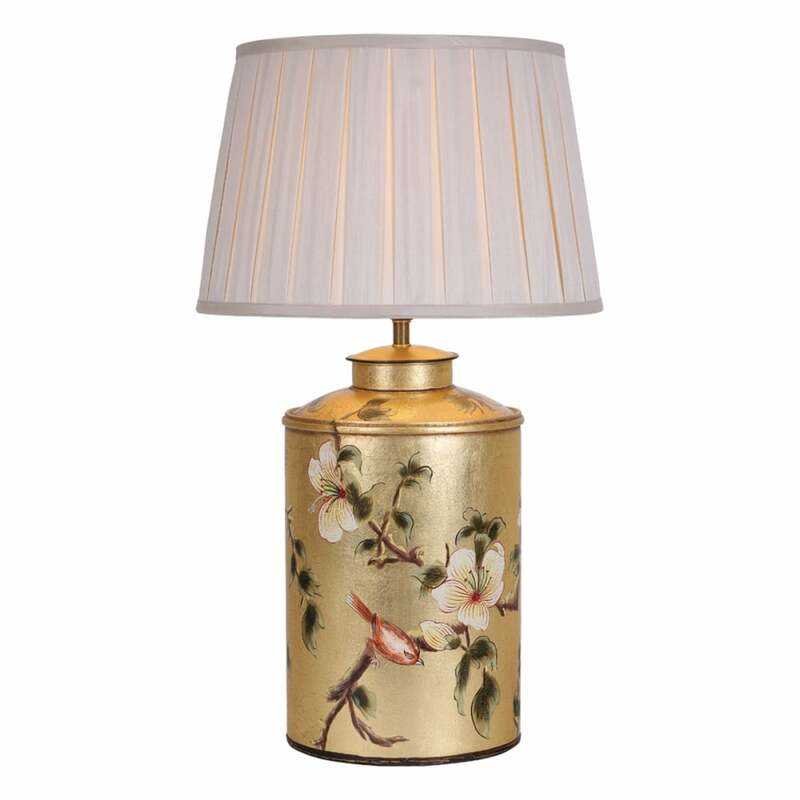 A decorative tea caddy table lamp in a gold finish with floral and bird pattern. The lamp is double insulated for safe use without need of earth wire and is individually switched by an inline rocker switch. This would be great for lighting in a modern or traditional lounge or bedroom, this is a lamp base only and does not come with a shade.